It’s a rainy Sunday. All plans previously made flew out the window, and we spent the last 5 hours watching every documentary Netflix throu gh Wii has listed. After watching Ralph Nader, some biggots in Mississippi, and the late, great Michael Jackson, it was time for lunch. 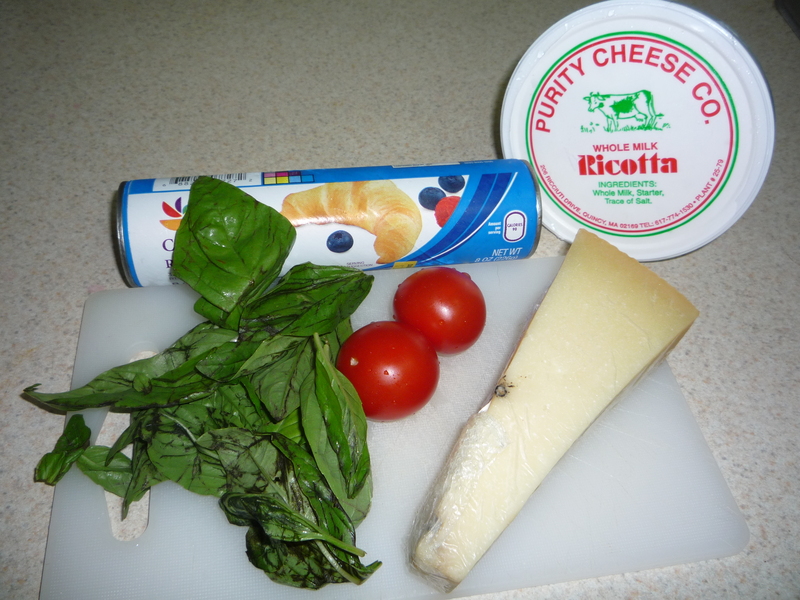 We go to the fridge to see what we can do for a quick, easy something, and pull out crescent rolls, ricotta, fresh basil, tomatoes and this amazing pecorino pepato I picked up at Russo’s. Well that was easy! Gourmet pizza rolls it is! 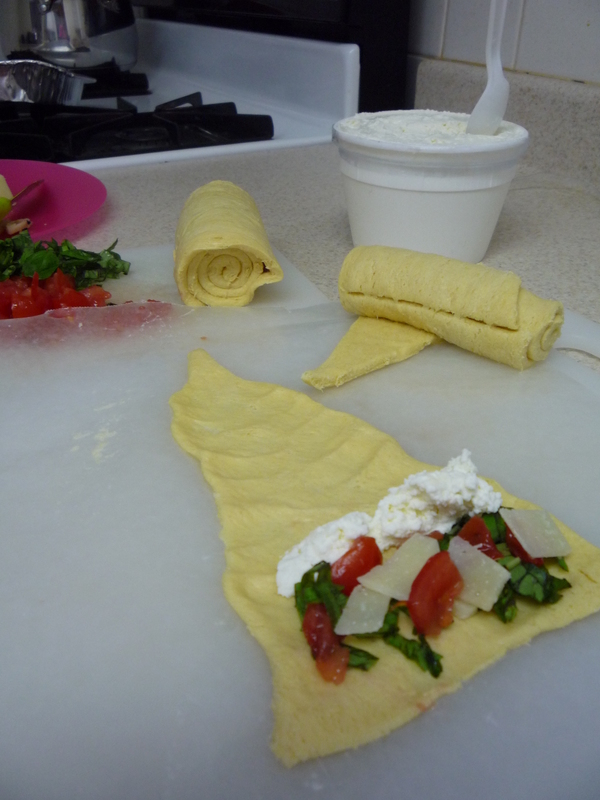 This entry was posted in Recipes and tagged appetizer, basil, crescent rolls, pecorino, pizza rolls, recipe, ricotta, snack by reneeh. Bookmark the permalink. We did do half with rotisserie chicken in place of tomato, and those were fabulous as well!